It wouldn’t be that notable that someone watched Billy Bob Thornton and some other people playing evil Santas. 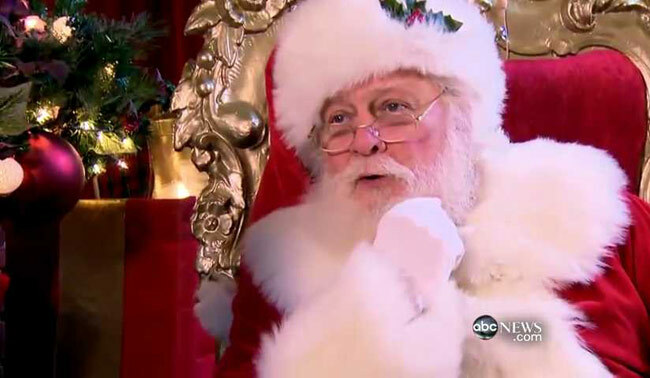 Except it is kind of hilarious that ABC News did this segment on how Santa is the most satirized good guy in horror after clowns. Are clowns not supposed to actually be scary now too? Is this part of, not only the War on Christmas, but also the War on the Circus? From a not-so “Silent Night” to “South Park,” what happens when St. Nick goes naughty. Posted by Gothic.net on Tuesday, December 25th, 2012. Filed under Headline, Horror, Movies, Video. You can follow any responses to this entry through the RSS 2.0. You can skip to the end and leave a response. Pinging is currently not allowed.